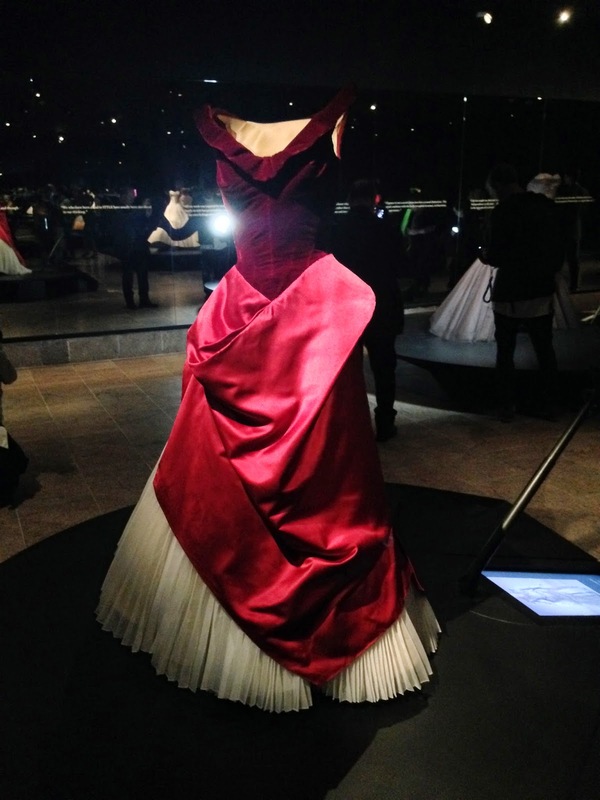 It's time for a trip to the Charles James exhibit currently up at the Metropolitan Museum of Art through August 10th. 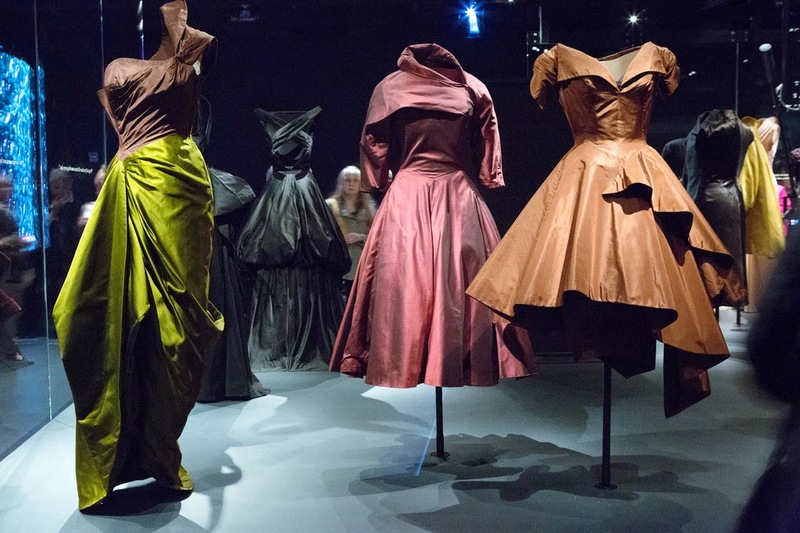 Charles James was the great American couturier who famously draped and shaped some of the most beautiful dresses created in the American haute couture. James, who was self-taught, designed in his native London before arriving in New York City in 1940. The designer was an artist whose medium was fabric and whose dresses were masterpieces. He was renowned for his striking color combinations, and his cut and construction, always refining and perfecting his living sculptures. But he was also eccentric and had a hard time running a business. The designer lived and worked in one room in the Chelsea Hotel on West 23rd Street. When he passed away there in 1978 at the age of 73 of pneumonia, he was largely unrecognized and unappreciated. However, his structured dresses with narrow waists and flaring skirts influenced Christian Dior when Dior created the New Look in the late 40's, and so though he is not a well-known household name, Charles James shaped the direction of fashion. 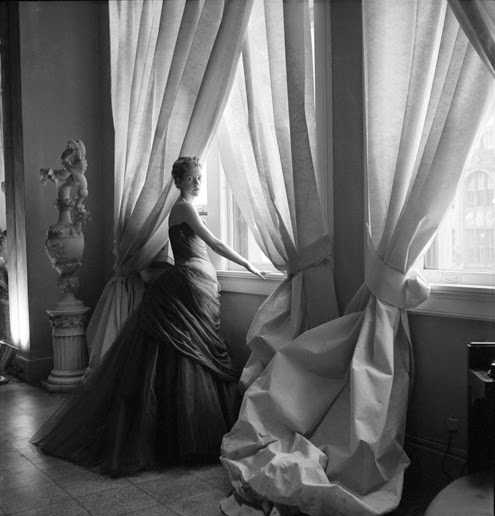 Photo courtesy of the Metropolitan Museum of Art, photograph by Cecil Beaton. The exhibition was curated by Harold Koda and Jan Glier Reeder, and is located in two areas at the museum – in the new Anna Wintour Costume Center on the lower level as well as an exhibition gallery on the first floor. The show was designed by Diller Scofidio + Renfro, the New York architects we met at a book party at Ann Ziff's fine jewelry store. which is here worn by the great Babe Paley herself. Photo courtesy of the Metropolitan Museum of Art. Besides the clothes, there are on display accessories, drawings, videos, and some pithy quotes from Mr. James. During the press preview for the exhibition, workers were preparing for the big Met Ball which was being held that very night. Here in the Great Hall, a kind of giant deconstructed Charles James ballgown made out of orange roses loomed over the entrance. I had the pleaure of talking with the brilliant curator Harold Koda at the press preview, and my friend Scott Brasher made a video of the visit. 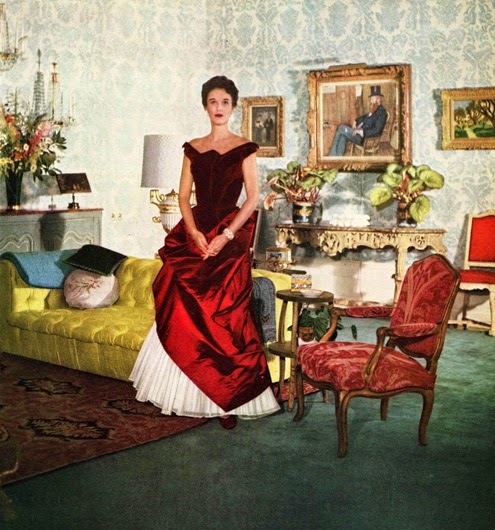 Enjoy this nice long talk with Harold, and learn more about the great American fashion designer Charles James. I hope you are having a nice summer. It doesn't seem that long ago since the winter snow was falling. Thankfully summer is now here, and it is not yet too hot. I've been enjoying the city and taking some pictures along the way. Sitting next to me on a bench in Madison Square Park was a young woman looking casually stylish in an embroidered tunic, silky pants, and chic sandals. 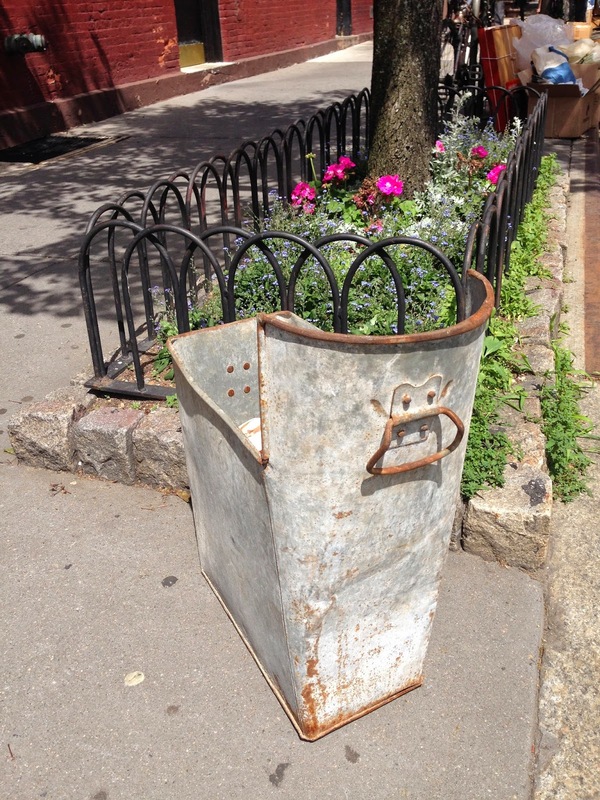 One of my favorite events is the Jane Street sale, held in June, when people in Greenwich Village come out and sell their goods. I bought this big, old, heavy metal container which is meant to hold ashes at the fireplace. Now, we put kitty litter and other supplies in it in our kitchen. $25. I love it. Over on the Hudson River, boats passed each other on a sunny day. 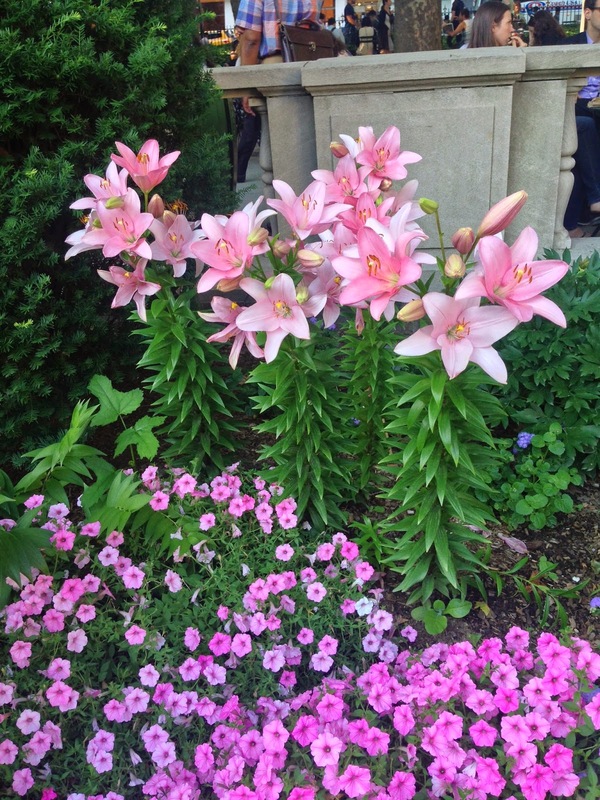 Up at Bryant Park, the lilies are in full bloom. The flowers there are so pretty. This talented young woman was singing and playing an accordian in Bryant Park - wonderful! At Bergdorf Goodman, horses are the current window theme. 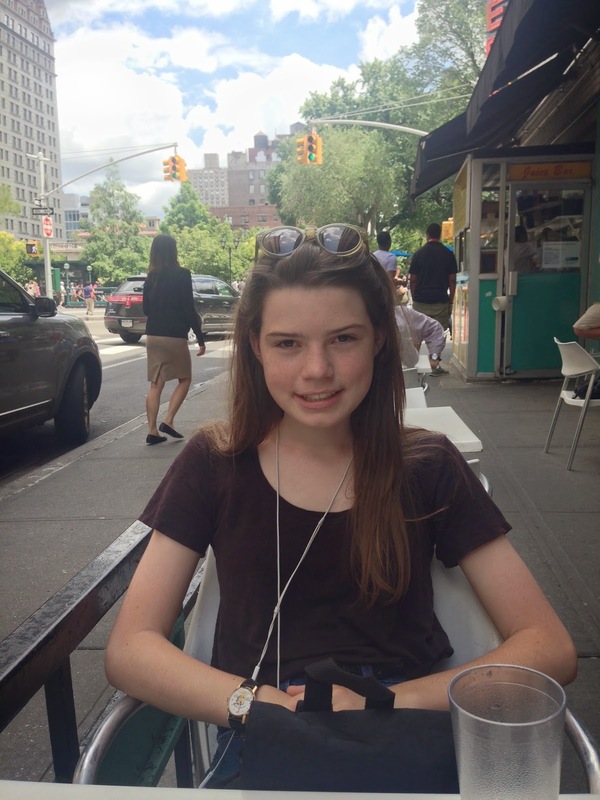 I had lunch at the Coffee Shop on Union Square with my niece Jane who was much smaller when we started this blog... This summer she is off to art school. Where did the time go? I am her proud godfather. 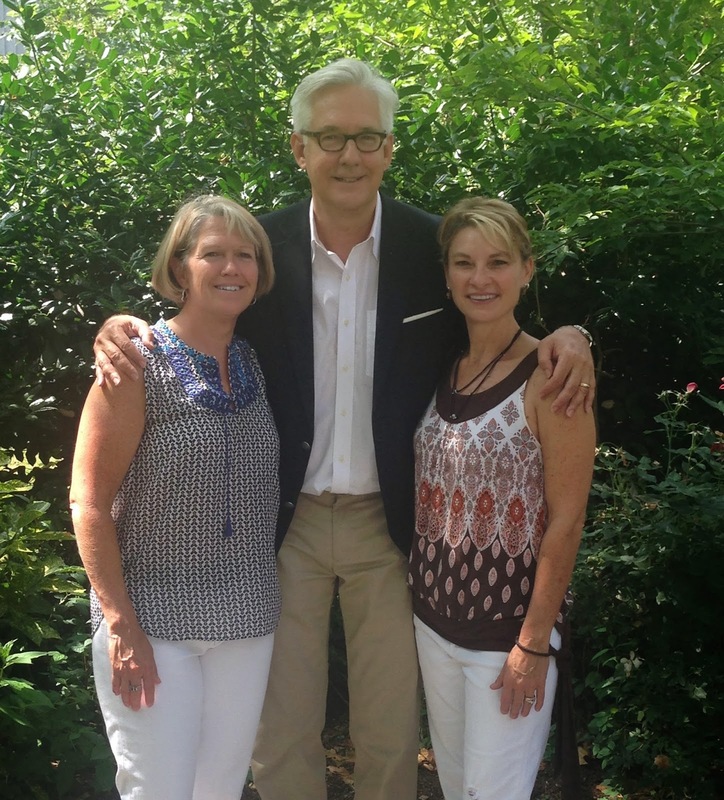 We took a weekend trip out to Connecticut for Father's Day and had lunch at the Stone House Restaurant. Here is my nephew Ben, brother Eric, and my pa. This weekend we had a successful trip to the Union Square Farmer's Market, where fresh flowers, lettuce and bread are now plentiful. 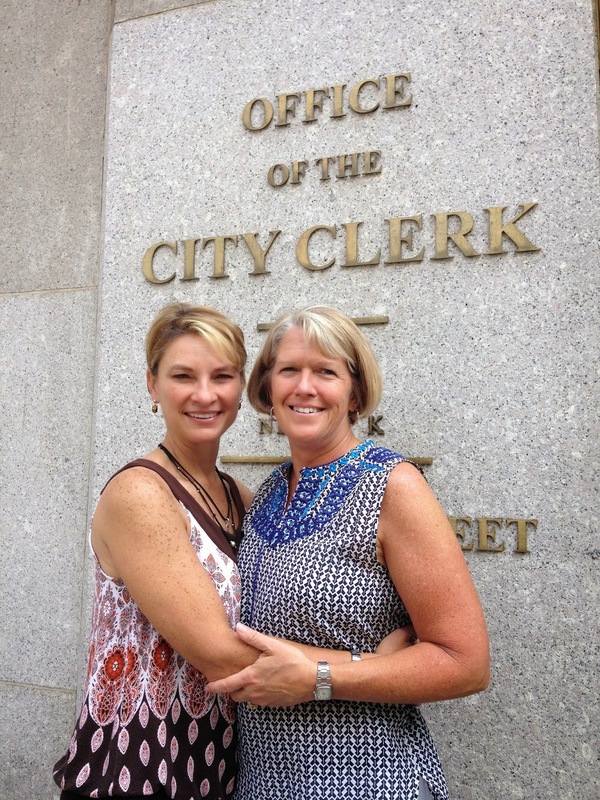 TD and I say equal rights for all!